In this chapter, we review the literature that is related to the three problems introduced in the previous two chapters. For the project selection and the workforce assignment problem, a broad overview of related work has already been given in Section 2.1. Here, we narrow our view on publications that have close links to our problems and we review solution methods for related problems in more detail. 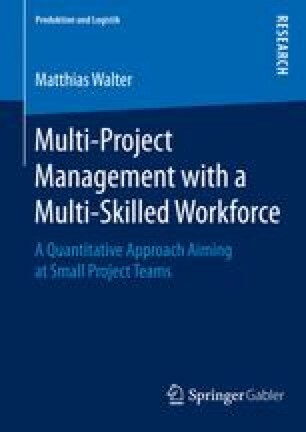 Close links to our problems exist, for example, when multi-skilled workers are considered or when objective functions take team size or workload leveling into account.